[Bridge guard] I guess it is not really necessary to guard such a small bridge, please pass. 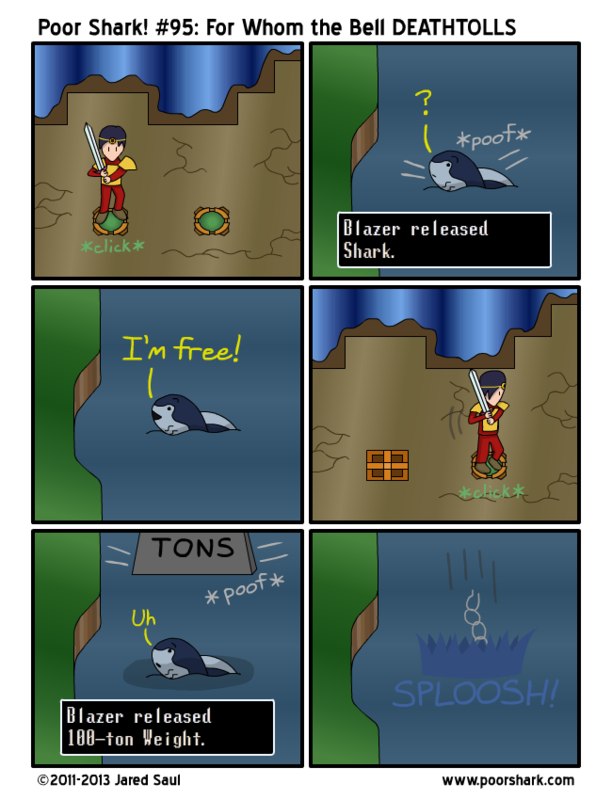 Annnnnd we’re back to jokes that only people who have played the target game (Soul Blazer) will understand. Wait that’s most every comic. I’m really happy with the pun in the title, which is totally a nod to Wonderella‘s comic naming scheme. Apologies to Justin Pierce. Maybe. Yeah probably not I’m sure he doesn’t care. I started playing Fire Emblem: Awakening today! I’m only about an hour into the game but it’s already awesome and it has everything that Sacred Stones was missing and more.